Cherry Fu, is really fun imagery. 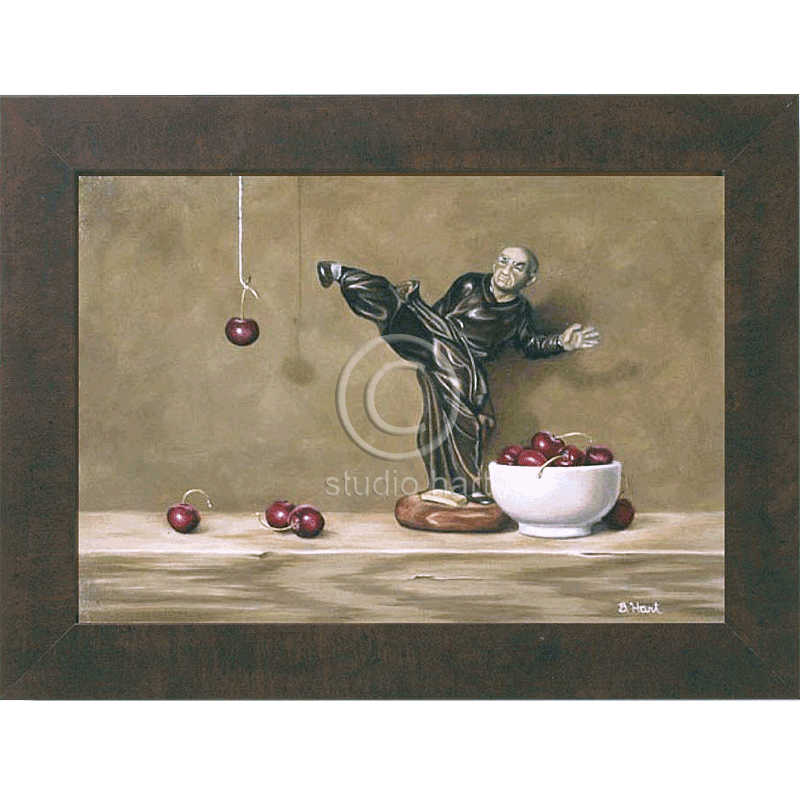 I knew I had to paint this Kung Fu, martial arts figurine, from the first time I saw it, but with what else? What can he be kicking? Then one day while snacking on bing cherries, that’s it! Another very popular print. Materials: Giclee print on canvas, mounted on board. Walnut brown color frame. Size: Canvas 12×17″. Framed 16×21″.